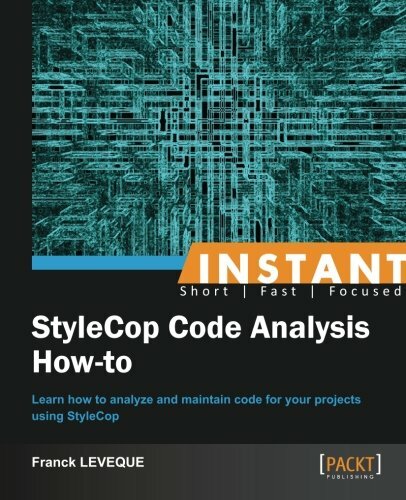 I am a real fan of StyleCop and FxCop for the last 4 years or so (see how many rules FxCop+StyleCop). Up until now, I have been only build up my knowledge from my own experience and reading blogs. The small size of this book allows a broader vision rapidly, and covers things that I never had the time to implement on real projects (such as VS Templates, or files headers). I also finally understood why my Resharper did not work with my StyleCop, which was an easy thing to fix. It is worth reading ! I organized the first Agile .Net France in Lyon, packed of people. And the most warriors of us stayed up until 1 in the morning where we were talking about TDD! Free drinks and special hotdogs to accompany our discussions. Finally, after years of struggling with AssemblyInfo.cs files to be updated to track assembly versioning, here IS an EASY WAY to do this thing, which should have been made easy in the first place in TFS. In the past, I used a more sophisticated way of doing it. The credit to this method goes to Steve Fenton, who explained his method called "Automatically Updating Your AssemblyInfo The Wrong Way". Using a Team Foundation Build Activities called “InvokeProcess” that is dropped inside the “Run on Agent” process, just after the “Initialize Workspace”. More details on a old Post of mine back in 2010, where and how precisely how to operate it. This Process simply calls a Batch file that creates on the fly an AssemblyInfo.cs. The result is instantaneous … on every single step of my software factory, it is highly traceable with the unique ID of the TFS Team Build of 370, as illustrated below. (2) This version number is dynamically generated by TFS Team Build during the Continuous Deployment process (called _CD). This guaranties the uniqueness of this number. In this example, it is Build# 370, which gives a version 1.0.0.370. Then you can open the TFS Drop Folder to verify that ALL your assemblies have the correct assembly version. (6) Check another Assembly: still 1.0.0.370 !! DONE ! and Enjoy !! And the most time consuming part to was to find the proper solution, since many great alternatives are present in CodePlex. I’m sharing this trick hoping it’ll save you plenty of time… and another wish is that one day, an easy feature to activate will appear TFS / VSO !! Note: If needed, here is an example of a batch file. if "%outfile%"=="" SET /p "outfile=[Full Path] "
if "%version%"=="" SET /p "version=[0.0.0.0] "